Meyers Lavender Liquid Hand Soap Refill (33 OZ) Just $11.25! You are here: Home / Great Deals / Amazon Deals / Meyers Lavender Liquid Hand Soap Refill (33 Oz) Just $11.25! Head over to Amazon and order the Meyers Lavender Liquid Hand Soap Refill (33 oz) for Just $11.25! Prime members get FREE shippings as do orders of $35+! 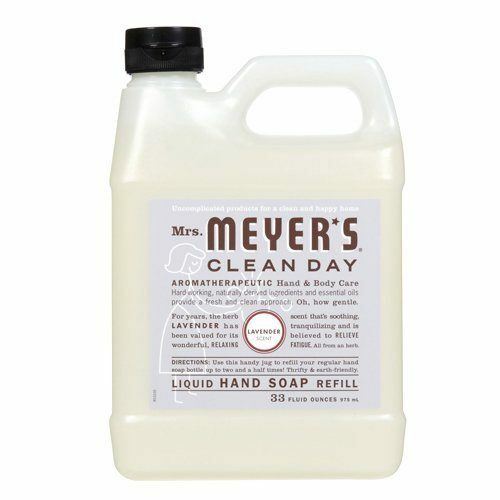 Mrs. Meyer’s Clean Day Lavender Liquid Hand Soap Refill will ensure that you never run out of hand soap. Packaged in a handy pouch and made with 40% less plastic than traditional plastic refill containers.